On December 5th I attended my first guest lecture called, 50 Years of Gender Revolution. The guest speaker was Stephanie Coontz who teaches history at the Evergreen State College in Olympia, WA. The event was put on and sponsored by the UH Manoa American Studies program. This topic was completely out of my areas of interest and I admit I don’t really know a great deal about this subject, and I guess that has something to do with the generation I was born into, but I’m not entirely clueless. And so, I walked into the lecture not knowing what to expect. But isn’t that exploring? I was very impressed by Coontz’ scholarly background. She has appeared on various television interviews ranging from news outlets to shows like the Colbert Report. Her works and writings have been featured in the New York Times as well as Vogue Magazine. But despite her impressive background, I was slightly disturbed by some of the statements she was making. The reason that is so is it seemed like most of her lecture she brought up an overwhelming amount of statistics. Some of which were the rise in women’s salaries and the fall of men’s. Almost all of her of her statistics were something of men’s falling or decreasing while that of women’s increased or rose. Its not the volume of statistics that she brought up that disturbed me but the way she presented them. She stated that she was not rejoicing in these changes but I found that a little difficult to believe because of what seemed like joy in her voice. I must make it absolutely clear that I am not a sexist nor am I misogynist and I firmly believe there cannot be equality if one side is elevated over another, even if that side has been on the lower end before, because then we’ll just have another case of inequality. I must say, I think it is difficult for me to understand it all or even appreciate these statistics because I am a male and primarily because I did not grow up in that time period and I did not see how women were treated and deprived of their rights. 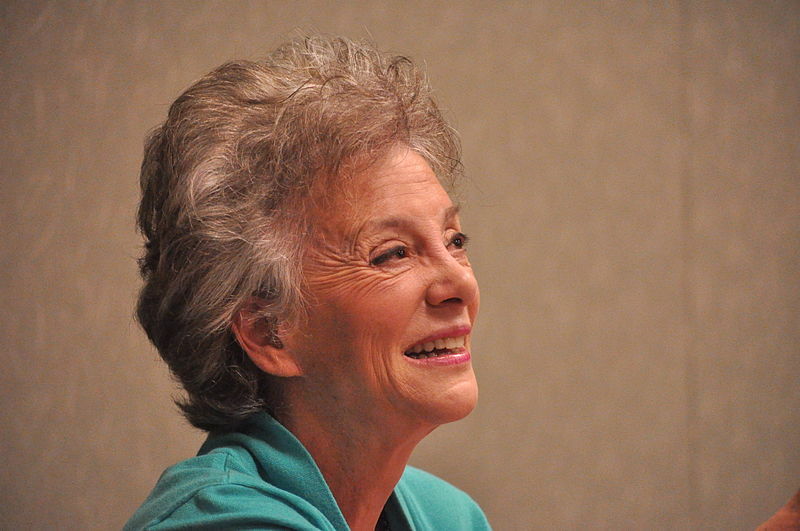 Despite the large amount of statistics, Coontz painted a picture of how women were treated. Overall it was an interesting and different and not what I’m used to lecture. December 10, marks an incredibly important day in history that is often overlooked or forgotten. 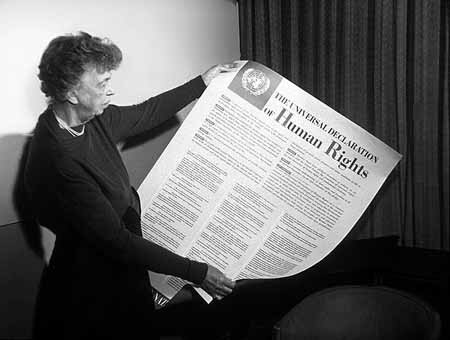 On this day, in 1948 Eleanor Roosevelt presented the Universal Declaration of Human Rights (UDHR) to the United Nations General Assembly. And on this day the nations of the world adopted the idea that every person has certain undeniable rights simply because they are human, regardless of their race, nationality, gender, age and so on. It took two world wars and over ninety million deaths world wide for this idea to be created. There are thirty articles in the declaration stating specifically what each right is. The UDHR has had a huge impact on my life. Although the UDHR is not a law I feel these rights should be protected. In the recent years I have seen countless times where people’s human rights are infringed upon and it pains me to see it happen and to sit here helplessly. That is why I am continuing my education to get a BS in Political Science and hopefully study International Law at the United Nations University of Peace, so I can equip myself with the best tools available to protect our Human Rights. For this assignment, I wanted to attend an event that I wouldn’t normally go to, something outside of my interests. How can one experience what UH has to offer if one doesn’t t explore? 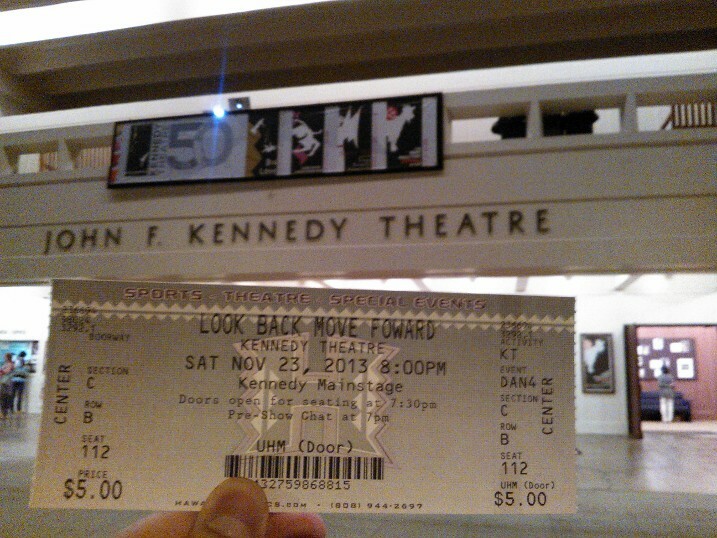 Saturday night I attended the 50th anniversary of the Kennedy Theater. 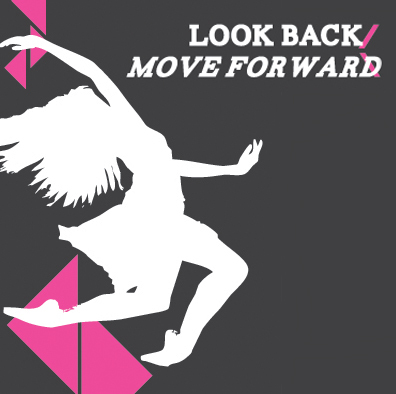 The dance production that was being presented was called Look Back Move Forward, it highlighted the different dance styles and works that have made their way through Kennedy Theater or were pr esented for the first time. The production was directed by Betsy Fisher, UHM Professor of Dance, and had a team of choreographers that include: Yukie Shiroma, Tony Young, Andrew Sakaguchi, Vicky Holt Takamine, Cheryl Flaharty and Jean Erdman. It was my first time ever attending a dance performance and I had no idea what to expect. The opening scene was incredible and it was what I believe was a perfect and beautiful representation of the University’s mission of bridging east and west. The scene was called the Other Rhythm and was a blend of Hula and Bharatanatyam dance, a classical Indian dance. At first the dances were separate but later fused together into a stunning display. My favorite act was You’re the One For Me (1997) a humorous and intense scene depicting the love story of Kamapua’a, Hawaiian pig god, and Pele. Something I thought about during the act Blue Green (1980) was the scene was dance was like literature and it was probably more than a dance but perhaps also a story or it symbolized something. I then began analyzing the scene as if it has been a piece of literature and I paid attention to the small details. For instance, I wondered if the blue and green dresses were symbolic or if there was a reason as to way the green dancer would mimic the blue dance but the music they both danced to differed. During all the dance scenes the amount of dedication was evident in every performer. What may have seemed like random movements was to me movements that were choreographed then rehearsed and rehearsed until it became second nature. I thought only a person who is passionate about dance would be able to endure such a physically and mentally demanding art, and that is what I believe made the performance beautiful. Since attending this event I have now become aware that the University has a dance program that has five full-time faculty members and that, of course, one can earn a bachelors in the dance program. I questioned why would a university give a degree in such a program and how might it be used? I later realized that there are other degrees that may seem impractical to some and dont have the “job security” attached as other majors may have but are still offered at the University. A bachelors in Dance would serve as a way to show that the person who earned the degree has the skills, knowledge and background that are necessary to be part of a professional dance production. Would I recommend this event? I would only do so if the person was one who has an appreciation for dance. Would I go again? Perhaps, if someone paid for my admission. I looked into what style Political Science researcher uses and I found that they use the American Political Science Association style. I read that it is similar to Chicago style. Also I was not sure if this draft was only to include primary sources. Documents of Chinese Communist Party Central Committee: sept. 1956-apr. 1969. Hong Kong: Union Research Institute, 19711974. Eight National Congress of the Communist Party of China. Peking: Foreign Languages Press, 1973. Kim, Il Sung. 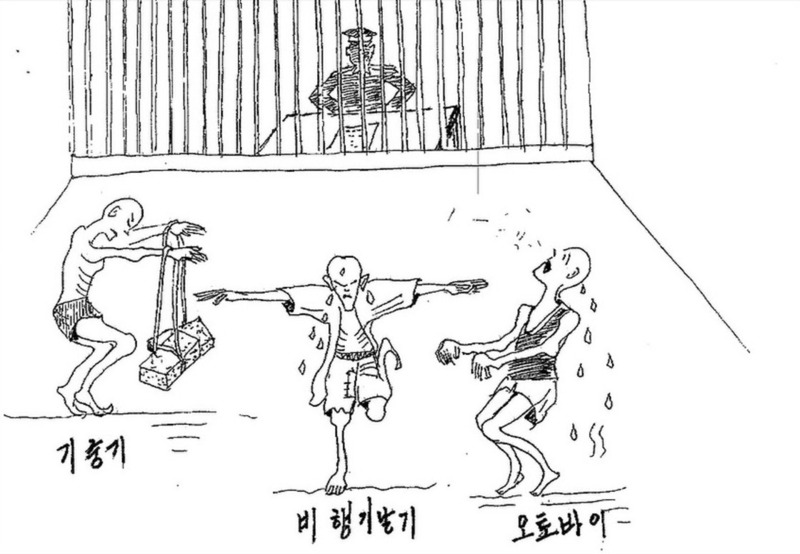 The present situation and the tasks of our party; report at the conference of the Workers’ Party of Korea, October 5, 1966. Pyongyang: Foreign Languages Pub. House, 1966. Kim, Il Sung. Let us defend independency. Pyongyang: D.P.R.K., Foreign Languages Pub. House, 1966. Kim, Il Sung. On the juche idea (excerpts). Pyongyang, Korea: Foreign Languages Pub. House, 1979. Lenin, Vladimir IlÊich. State and revolution. New York: International Publishers, 1932. Lenin, Vladimir IlÊich. What is to be done?. Oxford: Clarendon Press, 1963. Marx, Karl, and Friedrich Engels. The Communist manifesto. London: Pluto, 2008. Pak, Hyobom. Documents of the Chinese Communist Party, 1927-1930; 89 documents selected from Chung-yang tung-hsun,. Hong Kong: Union Research Institute, 1971. Zhang, Guotao. The rise of the Chinese Communist Party; the autobiography of Chang Kuo-tao.. Lawrence: University Press of Kansas, 197172. Fifty fighting years: CPI golden jubilee album.. New Delhi: Communist Party of India, 1975. I wanted to interview a faculty member in a Department I feel most would over look. I look at the departments page and saw the College of Education and I thought that would be a unique interview and educational research, although interesting, is not something I would particularly want to research. I looked through only a few faculty member webpages because there were so many and came across Dr. Yamauchi. I later met with Professor Yamauchi who is a professor in the department of educational psychology. I got to meet with her and talk about her research. Through this interview I was able to become more aware of what educational research might entail and how one conducts it. As Prof. Yamauchi talked, she began to explain what kind of research she does as a professor in the department of education. Prof. Yamauchi researches how children who have culturally diverse backgrounds and indigenous language speaking children learn and preform in school. Prof. Yamauchi applies the CREDE standards for teaching. CREDE stands for Center for Research on Education, Diversity and Excellence. Prof. Yamauchi added that CREDE has been adopted in Greenland and she’ll sometimes get calls from friends in Greenland asking what should they put into their education laws. The way Prof. Yamauchi carries out her research is her and, or, her team will go to a classroom and videotape the teacher teaching. The teacher and fellow colleagues will be shown the video, this gives a chance for the teachers to see how other people teach which gives them new insights on strategies that are effective and ineffective. Prof. Yamauchi also said much of her research has been reading articles and publications related to her study. She said that when she started researching this topic she read to see what information was out there on this subject. Prof. Yamauchi said she tries to keep up with any new publications that might come out as they may offer new information. Perhaps the most important question one can ask a researcher of any field is, how did you become interested in this field? Prof. Yamauchi shared her academic research journey and how it has evolved over time. Part of which she was influenced by growing up in Hawaii. 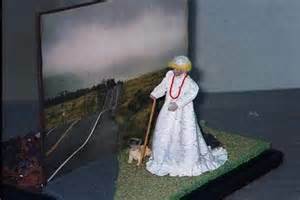 She said she feels the immigrants have some kind of obligation to take care of the native peoples. Prof. Yamauchi’s research is evident that research is not bound to your field and can cross a variety of studies. As she explained what her research entails, one can see her research involves language, anthropology, political science. Here is a list of the primary sources I have found so far. First off, I would like to say I found Dr. Drager’s presentation on her research in Pidgin very interesting. It’s interesting because most people look down on Pidgin speakers as being uneducated, and she’s doing academic research on it. It is rather peculiar that in the small area of Hawaii, in my opinion, Pidgin varies from island to island. From my conversations with people from the outer islands they sound a little different when they speak Pidgin and they have different slang words. I was thinking about participating in Dr. Drager’s research studies because it seemed interesting and it would be nice to make a contribution to knowledge. Though both topics are concerning language I put them in the same post, despite their different subjects. I was sent an email from Human Rights Watch containing a link to a video. The video is about sign language in Kenya and how important it is to teach deaf children sign language. According to Jenny Nilsson, Human Rights Watch Disability Rights Specialist, “Today, deaf children and young people worldwide are too often denied their right to education.” Many deaf children don’t learn sign language because their families think they don’t have the right or ability to be able to go to school and that there is a lack of people educated in sign language. Without the education of sign language to deaf children, educators are unable to impart skills and knowledge that is vital to one’s success. Although there is added education for deaf children in Kenya, there is apparently a lack of support for deaf people in college. A deaf college student majoring in accounting, Alfred Muriki, tells of his struggles in college. Alfred says that in some of his classes he copies the notes of a person sitting next to him and if he has a question, he writes it down and has that person ask the professor, and then that person will write down what the professor said. It’s people like Alfred who work so hard for their education that give us over privileged Americans no excuse not to do well in school. After hearing Dr. Drager’s presentation on her research and watching this video, I can say I now understand the importance of studying languages. The Emergence of Capitalism in a Communist Country? I had been looking forward to and anticipating the release of Liberty in North Korea’s (LiNK) final video upload during their Bridge to North Korea campaign. The video is somewhat, but not directly, related to my research question. Over the time of about a month or so, LiNK had proposed that they were going to “build a bridge to north Korea that cannot be torn down.” I thought to myself what could they possibly be talking about. Of course, I came to find out that they were speaking figuratively. They were not building a physical bridge but rather a bridge that makes a difference in the lives of some North Koreans. This bridge is made by refugees who send money to their friends and families that are still in North Korea. I’ve asked myself the same question I’m sure many have thought of, what is the solution to the Human Rights crisis in North Korea? I thought maybe the solution to could be found in international intervention such as the U.N. But I realized what is the UN going to do? 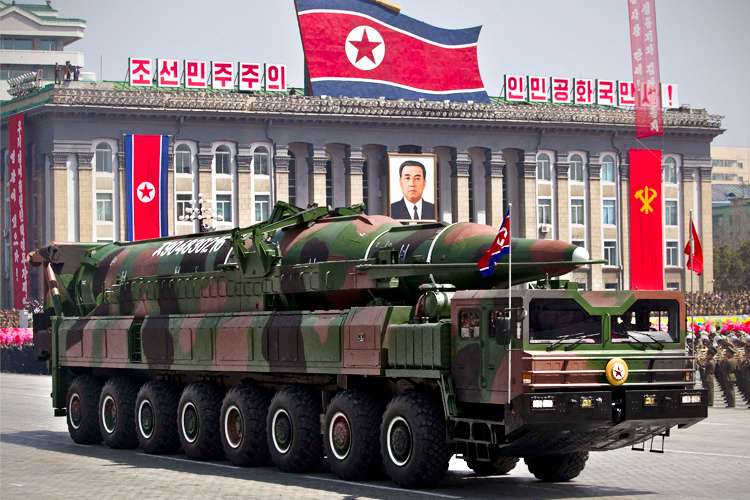 Give North Korea more sanctions? After watching this video, I believe that the grass root marketization of North Korea is a step to freedom in North Korea. It may be miniscule or significant, either way it is a step in the right direction. I picked up a message or theme from this video, whether it was intended or not, that the capitalist economic system works. Capitalism in North Korea allows and equips the people with the ability to provide basic necessities for their families, break from dependence on the regime, and acquire goods and information that has been banned in the country. I wonder, will this eventually lead to the toppling of the Kim regime? It only takes a spark to light the flame.